The PTR in-game calendar was updated to include bonus events. Out of the six new events, one might interest Pet Battlers — Pet Battle Bonus Event. 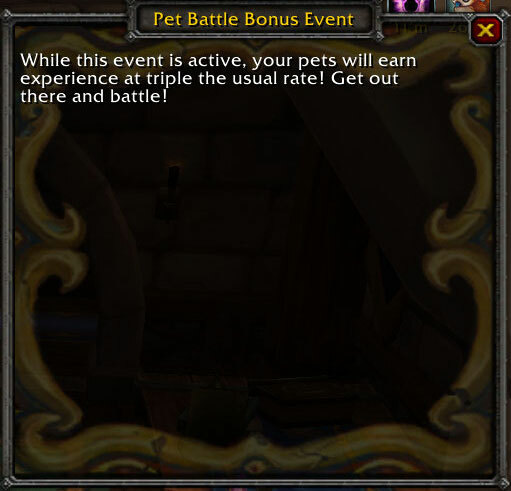 For a short period each month, pets will be awarded triple the normal experience. It's unknown if this will stack with other experience buffs, such as the Safari Hat and Pet Treat. Keep in mind that this event is still undergoing testing, and its duration and scheduling could change. It's currently unclear how often the Pet Battle Bonus Event will pop up each month, but hopefully it won't occur too infrequently. 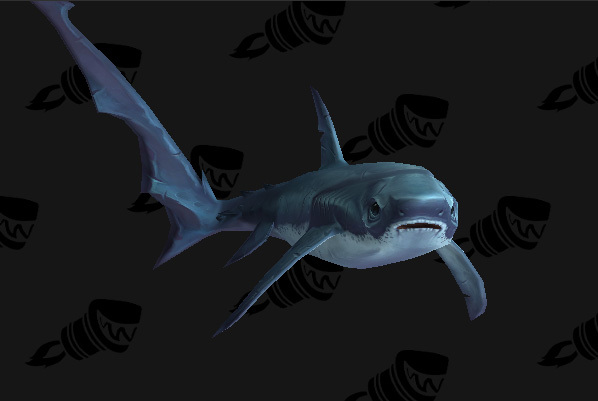 We recently reported that the Left Shark was datamined as a possible pet, but it looks as though we'll be seeing this pet in 6.2! Wowhead datamined the upcoming naval missions and discovered a pet hiding among the rewards. In 6.2 you'll be able to build your own shipyard and once you've acquired a ship or two, send them out on "Ship-Combat" missions (similar to Follower missions). "A young shark has been abandoned in a storm off the coast of Nagrand. Defend it from the Iron Horde and it will likely follow you home." There are three Threats that must be countered, so better make sure your ship is ready for battle. You definitely don't want to let this little shark slip away! we're gonna need a bigger boat ! Does anyone know if we get more slots for all the extra pets we will be picking up? my slots are just about full. So EXCITED!!!! The triple XP will be such a help lev'n all my low lev pets!! !